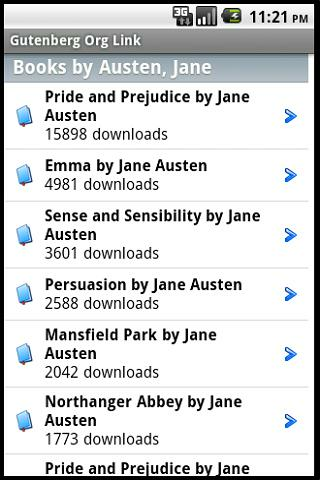 Free eBooks by Project Gutenberg Link. 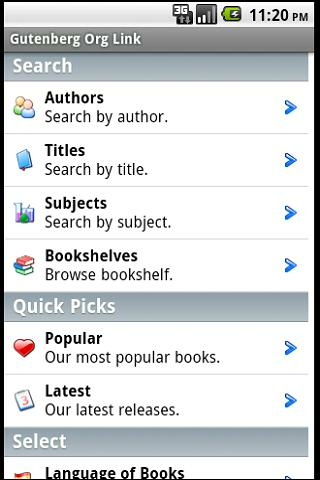 This App opens up the Project Gutenbergs mobile website where you can view and download thousands of public domain books. Currently you are _ONLY able to view HTML books_ in this app right now. It will NOT work with the other formats currently. Not affliated with Project Gutenberg.